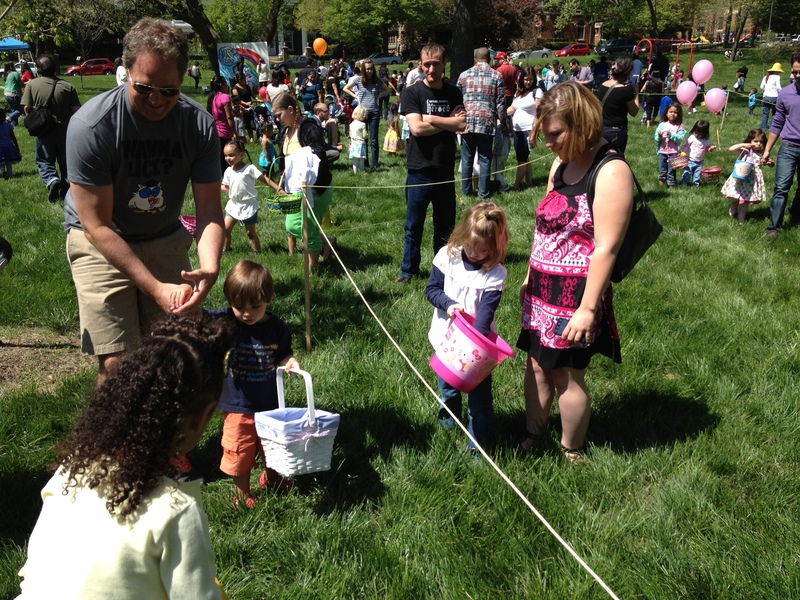 While many of you were watching your children hunt Easter eggs this past Sunday, I was hunting news, which on Easter Sunday means all the Easter egg hunts around the metro area. In the past these things were a cool thing to shoot video of since there were so many babies, which who does not like cute babies on TV right? Once the parents see you shooting video of their baby they immediately come up and ask, “Will this be on TV?” You were letting your child act like an idiot, yup it will be on TV! Or the “Are you allowed to be here?” Nope, we are not! The press release that was sent to us because someone thought this event was news worthy said that the media was NOT invited. Or “Do you know what time this will be on?” Alright this is a ligament question, however, the chosen few only know that and I am not one of them. I just shoot the news stories. Or the infamous, “Do you work for the news?” I am carrying around a big camera, a microphone that has the news station logo on it, and just drove up and a huge live truck that has our name plastered all over it… you tell me who I work for? This year was different. 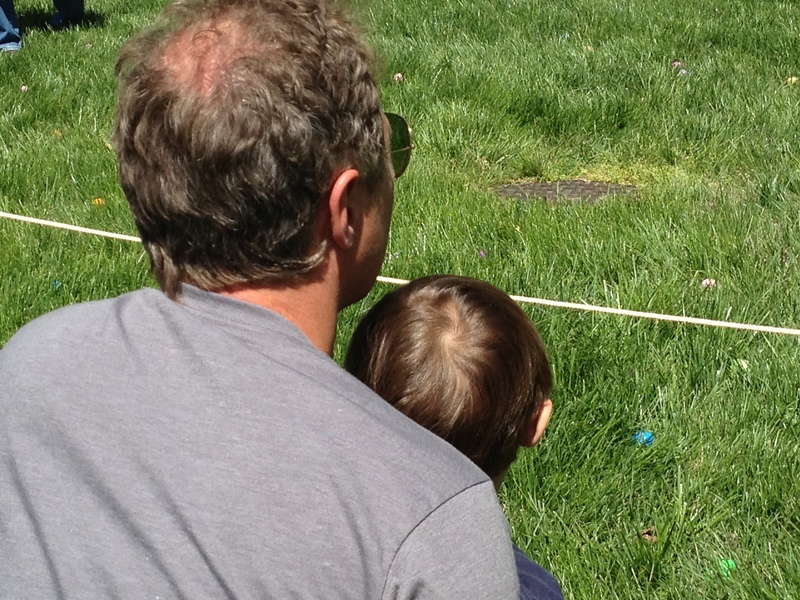 I was looking at the Easter egg hunts this year as strategy for next year when the Kid will actually understand to hunt down the eggs. Come to think about it, he has already hunted down one egg and that was a success right? Alright you are going to go after these right here and pick up as much as you possibly can! Find the egg with all the money it! Sound advice! I am sure that your child will take her 90% of the winnings and you get the rest. However, in TV News you know that we are always on the look-out for the better story, so my focus turns to the father son. Before the hunt starts I get in my place to shoot video of his son getting the eggs… the buzzer sounds, signaling the start of the hunt. His son does not move… he is telling his son to not be scared and go get some eggs. Still no movement out of the son. As a parent, you know that these hunts only last but a split second, barely enough time for a news photographer to get all the video necessary to get your precious little child on TV. This child however missed out on all the eggs. I felt for the child, I would hate to go to a hunt get the Kid all prepped by telling him what to do and come away empty-handed. Something then happened that I have never seen or payed any attention to, another kid came up and shared her Easter eggs with him. It was so sweet because you knew the son was so disappointed that he did not get any. While this whole story was playing out, I was thinking this is what my future will be about, telling my son one thing and he will not do it? Oh wait, that happens even NOW! Bark, Bark I Want That! Do kids ever listen to their parents? I’m jealous of all that green grass. There’s only a little snow left here. In a couple a weeks it will start greening up. Happy Easter! Kids will never listen to their parents. I don’t know why I keep assuming that they will because I know that they won’t. We had one of the mildest winters on record down here and now we are entering the wet season so everything is green! It is glorious! Great post! Very touching to see another child sharing 🙂 Glad there was a happy ending the the egg hunting! There is always a happy ending… we just have to look for it. That sounds like a sweet story!